When my cousin got married a dozen or so years ago, I remember noticing that all the bridesmaids had the same earrings. That's because she got them all matching jewelry. And that's when I started thinking about my own bridesmaids gift ideas, even though I wasn't even close to being engaged at that time. I kept the idea in my mind and, when it was my turn, I bought jewelry for my bridesmaids. But there are tons of gifts to give bridesmaids. If you're looking for ideas, you're in luck. 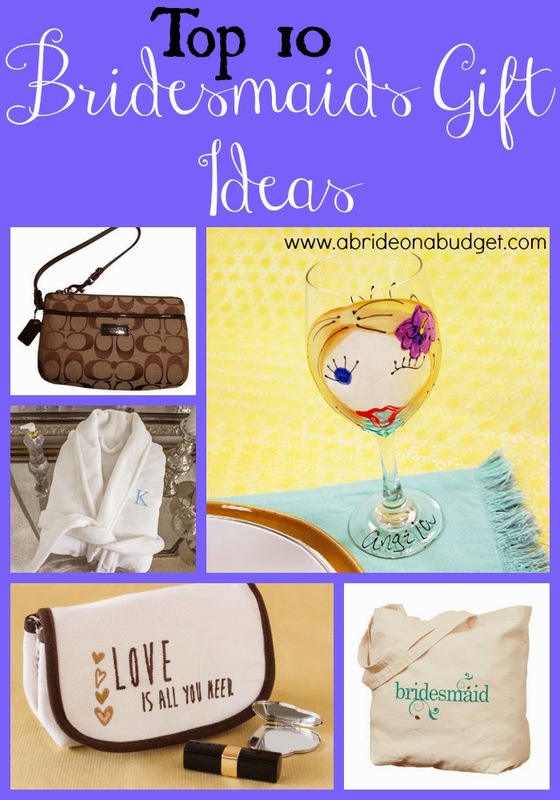 I put together a Top Ten Bridesmaids Gifts Ideas list. I always love the idea of jewelry for your bridesmaids. That way, they'll all have a coordinated piece. I got my bridesmaids a pretty necklace. I gave one to my maid of honor too, but I also gave her a matching pair of earrings. I wish I had seen this Personalized Pearl Of Hearts necklace from Bridesmaids Gifts Boutique before my wedding. You can choose the initial of your bridesmaids and then select a card for bridesmaid, maid of honor, and matron of honor. There are also two more generic ones in case you need to thank people who aren't specifically in your wedding party. I so badly wanted to get my bridesmaids bikini bags, so I'm not really sure why I abandoned the idea. They're perfect for summer weddings, especially if it's a destination wedding. And ours was a destination wedding (for everyone but me and Pete) during the summer. When I go to the beach, I take a plastic bag with me so I can put my wet bathing suit in it before I go home. These bikini bags are so much cuter than a plastic bag. And they're great if your bridesmaids are staying at your wedding destination after your wedding is over. Especially if there's a beach where you are. 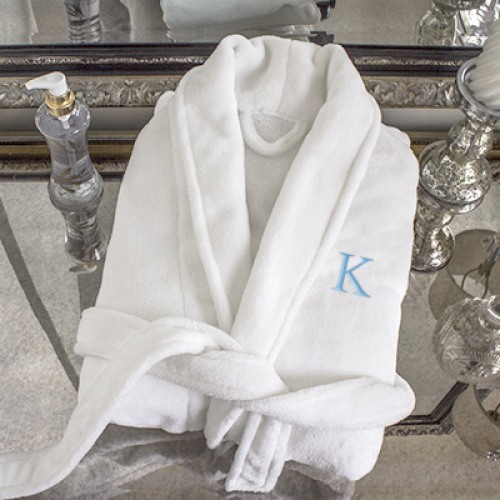 If you're asking your bridesmaids to come over in the morning and get ready, a monogrammed spa robe is perfect. I know that satin robes and kimonos are really popular for photos, but they're not that great for practicality. I bought one for my cousin's wedding because she wanted to take pictures in them. The photos do look really cute, but I haven't ever used it since. I tried but it's not the kind of robe you can lounge around the house in. So it has just sat in my guest room closet for five years. Now, a spa robe, that's something your bridesmaids can use after your wedding is over. 4. Hand Painted Wine Glasses. The morning of our wedding, I set out wine glasses with personalized wine charms, orange juice, and champagne for my bridesmaids for a mimosa bar. I didn't buy a wine charm for myself, so I ended up having orange juice (sans champagne) in a stemless wine glass we already owned. I was happy to have gotten the personalized wine charms for them because it just made things a little easier during wedding morning chaos. 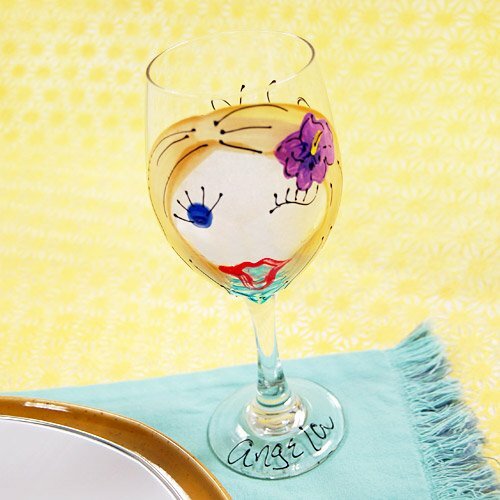 What I really would have loved would have been hand painted wine glasses. That's another gift idea that I had in the beginning, but I ended up not getting (and I'm sort of bummed I never did pick them up). 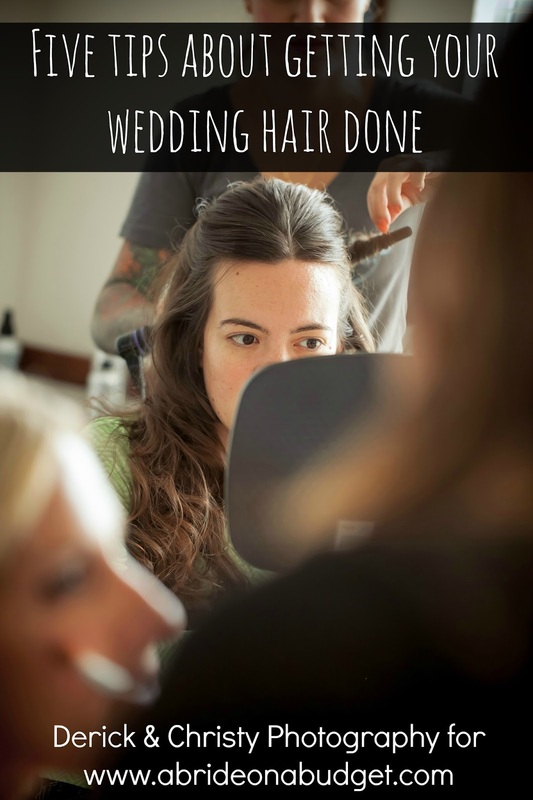 The morning of your wedding, your bridesmaids have so much stuff. If they're getting dressed with you, they leave wearing their bridesmaids dress and have to carry their old clothes, their old shoes, a shoe box, a dress bag, a hanger, make up, hair accessories, etc. Help them out with a personalized tote bag. I love this idea so much I actually wrote a full post on it here. And I ended up getting personalized totes for my parents and Pete's dad. I'm not sure if any of them actually use the bag now, but I like to think they do. I absolutely love all my Coach bags. They really hold up better than any bag I've ever had. They're well worth the investment. If you live near a Coach Outlet, you can head there and pick up real Coach bags at a very discounted price. It's a lot better than getting a knockoff from Chinatown. 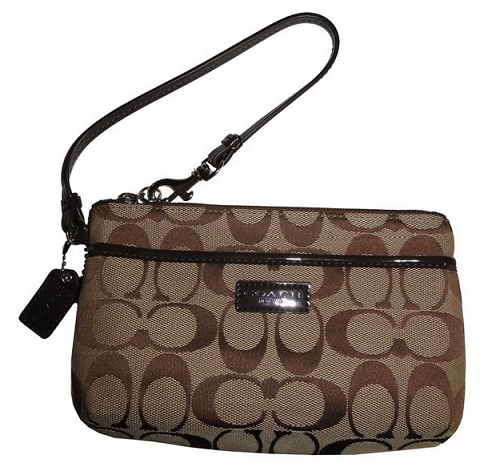 If you can't get to a store, you can always order a Coach wristlet online. 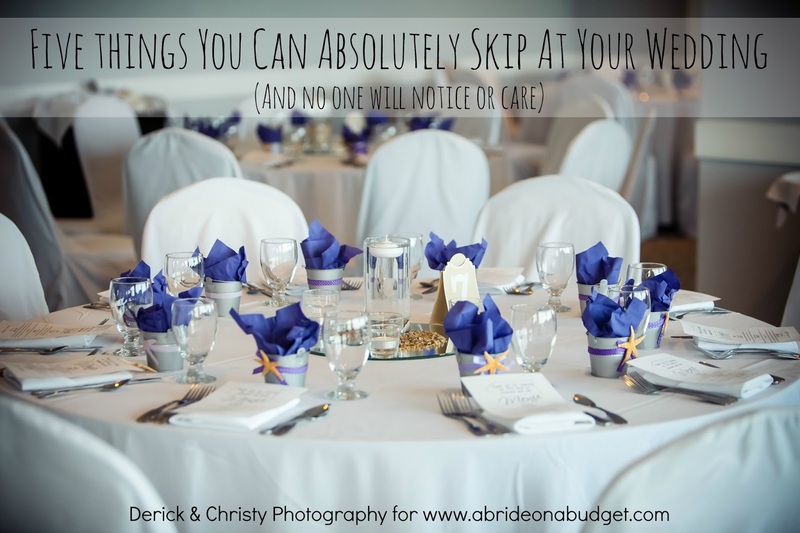 Keep in mind all the items and parties your bridesmaids are paying for, plus all the time they're spending to help you. They deserve Coach. I wasn't sold on these originally until I saw them. And now I'm obsessed with personalized beach towels. Even if your wedding is in the winter, these are perfect. We live at the beach so I'm always looking for a towel. In fact, I just packed five this weekend when my cousin was here. So you really can't have too many towels. And when I travel, I make sure to pack my own because towels, just in case we end up at a beach or water park. Which happens. And then there's your friends who just tan in the backyard (guilty!). There's no one who wouldn't love this and no one who couldn't use a few extra beach towels. I bought a pair of foldable ballet flats once upon a time and brought them with me to every single wedding. They came with a small bag that fit in my purse. Brilliant. They were one of the most convenient purchases I ever made. Your bridesmaids may not wear these at your wedding (they did just buy brand new footwear for your big day), but they'll definitely use them in the future. 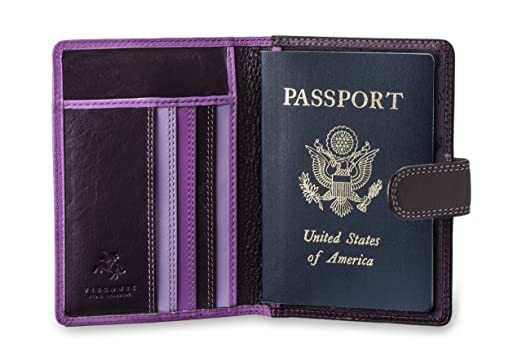 You know, this seems kind of silly, but it's actually a great bridesmaids gift idea: a passport holder. My mom actually bought one for her and another for my dad not too long ago. Too bad I didn't think to get them as thank you gifts for our wedding. They're one of those practical things that no one ever buys. They're a great thank you, for a destination wedding or not. Fill a "passport" with photos of you and your bridesmaids, little notes, or a thank you card. It will make the gift that much more special. I don't know a single woman who doesn't need another cosmetics bag. They're very useful and you can never have enough. I don't buy them for myself ever. And I'm sure your bridesmaids can say the same. 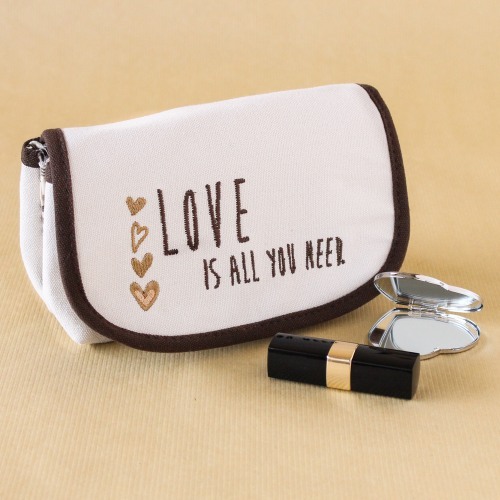 So a really cute thank you gift would be a cosmetics bag filled with emergency items: aspirin, clear nail polish, a nail file -- all the things she might need on your big day. And trusts me about the aspirin. Someone is always looking for that at a wedding (or the morning after). 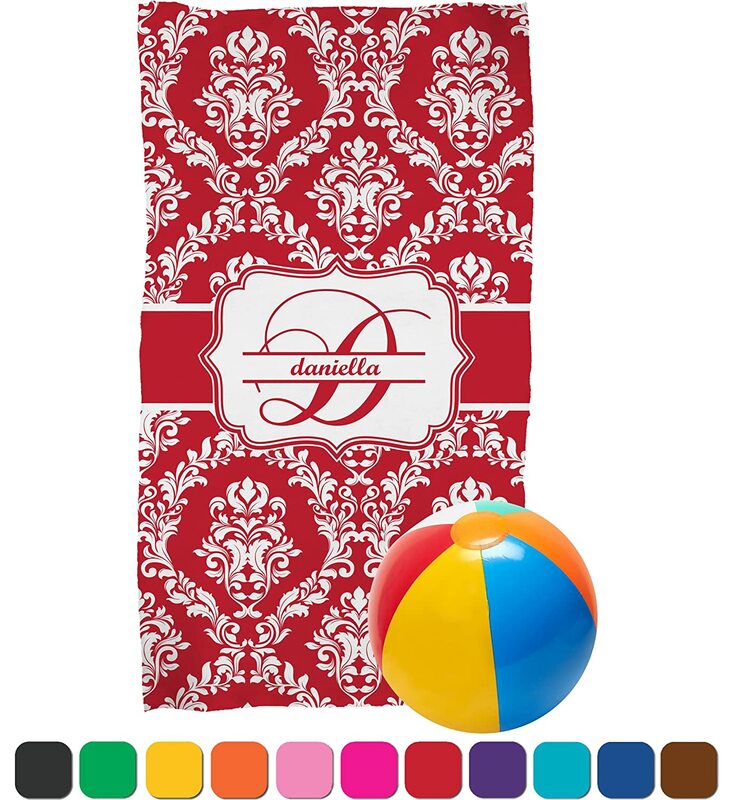 BRIDAL BABBLE: Which of our top ten bridesmaids gift ideas is your favorite? 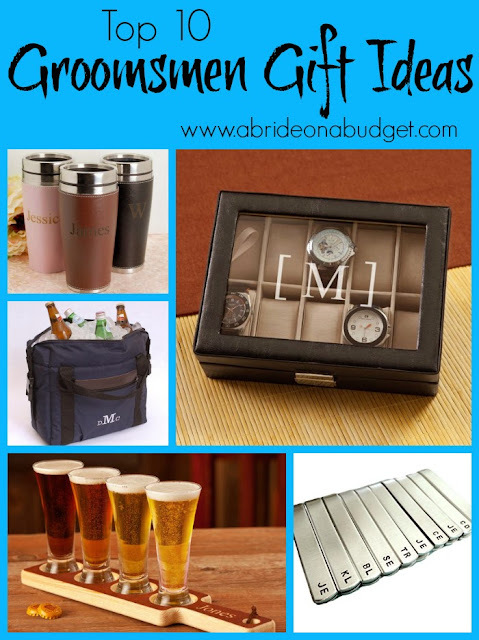 Don't forget about the groomsmen! I remember that I got earrings for my 2 bridesmaids (1969) They both liked them very much. A tote is a great idea. Would be nice to have something to throw things in during the big day. The Totes and the Robe and the Jewelry are all great gift ideas for giving to Bridesmaids. I know that I would love any of these awesome items. 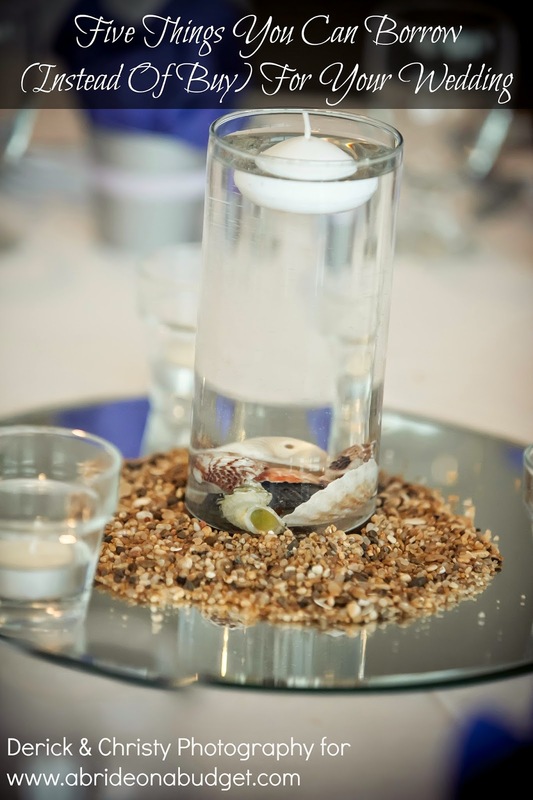 Love these ideas. Would be hard to choose but I really like the robe idea. 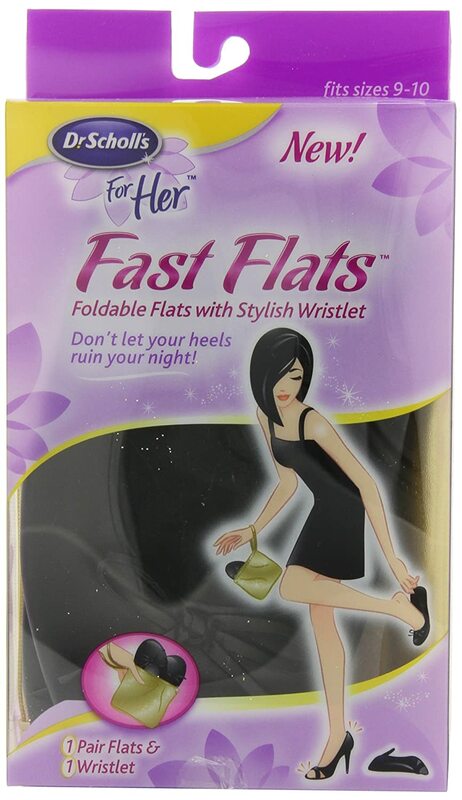 I think the foldable ballet flats are a great idea. Young women always take their shoes off to dance nowadays. These would prevent their hose from running, feet getting dirty, or them from wearing horrible white socks with a fancy dress! Lovely ideas, and definitely affordable! I see how you can even make baskets with some of these items! Great ideas! I gave my bridesmaids necklace and earrings and a tote bag. 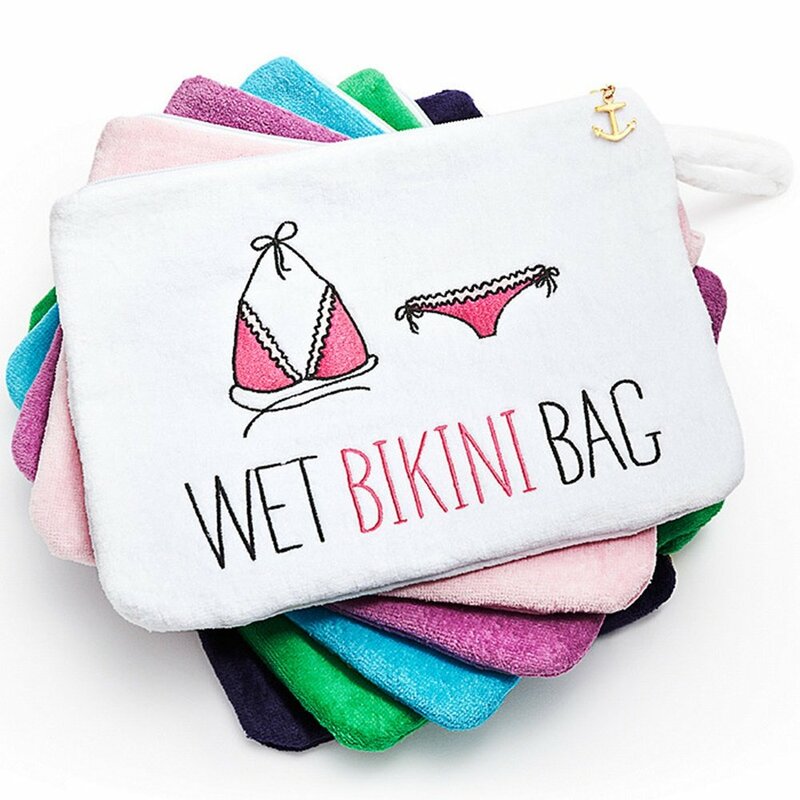 A wet bikini bag is such a good idea! I feel like it's the type of thing that everyone needs but most people don't have... I definitely don't have one and now I'm wondering how I've lived without! These are great ideas. WHen I got married I did totes and jewelry! These are great ideas, I especially like the robes. When I got married I got each of my bridesmaids bracelets to wear on my day. Those are great gift ideas. I don't even remember what I got my bridesmaids…it's been so long! These are too cute! I have a friend who just got engaged who was asking for bridesmaids gifts ideas - I will share this post with her!